Michael O’Mara Books is to publish 'an unflinchingly honest and moving memoir' from debut author Malcolm Alexander, the only doctor on the Orkney island of Eday. UK and Commonwealth rights were acquired from Laura Macdougall at United Agents. According to the publisher: 'Close to Where the Heart Gives Out: A Year in the Life of an Orkney Doctor charts Malcolm’s journey from suburban Glasgow to moving his family to the wild and remote landscape of Eday - part of the Orkney archipelago, with a population of 150. 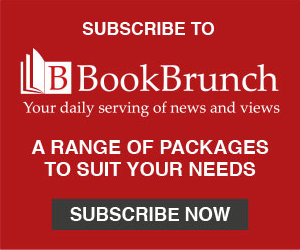 Nicki Crossley, senior commissioning editor, said: "I was transported to the wild corners of Scotland from the first page. Malcolm’s journey evokes the awe that the Orkney landscape can inspire, as well as the challenges of island life. Gripping, brooding and beautifully written, this adventure reminds us to listen to our hearts, as well as to the rhythms of the landscape. I can’t wait to share his story with you." Alexander said: "It's wonderful to see the memories I hold in my head captured on the pages of this book. Living and working with Eday and its people taught me a lot, and I hope has made me a better doctor. Remote, wild places like Eday strip away all the protection we surround ourselves with, the material and emotional comfort blankets we all have. Not everyone is able to cope when that happens – I nearly didn't. This story is about the people and the place that let me re-discover personal honesty and understanding, flaws and all." 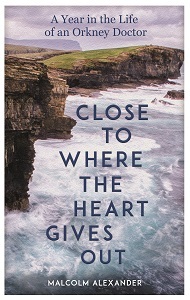 Close to Where the Heart Gives Out will be published in hardback on 13 June 2019.